It was 1402, and the ruins on the outskirts of Rome were to be avoided at all cost. Locals thought them cursed, or perhaps still diseased, and so the once-majestic columns and vaulted temples, and even the dome of the Pantheon, had no company, save for grazing cows—until Filippo Brunelleschi, a young architect, and his friend Donatello, a sculptor, arrived, and stood in awe. The two of them ended up spending over a decade sketching and studying ancient Rome’s ruins, and what they discovered was paramount to Europe’s Renaissance. This period then gave us what is still considered some of the greatest art of Western civilization, and inspiration to last centuries more. 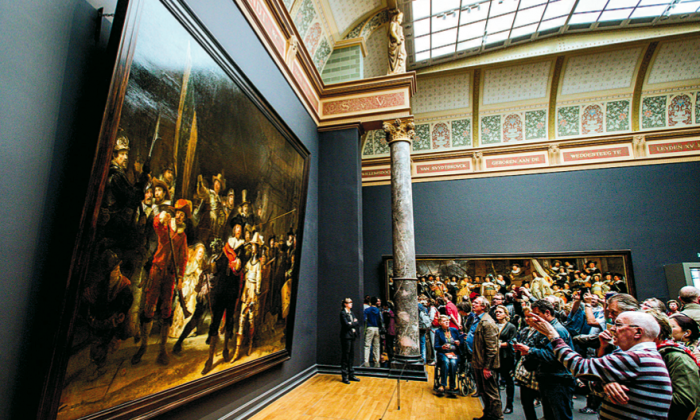 The music, paintings, sculpture, architecture, poetry, drama, and literature of the Western world sum up our values. They provide a lens into the times of war and times of peace in our history, and into the politics that shaped them. They also remind us of our aspirations. It’s a thread that goes all the way back to the ancient civilizations of the Romans and Greeks, which we can still experience today. But perhaps the thread needs picking up. “Art educates the whole person as an integrated individual. It educates the senses, it educates the mind, and it educates the emotions. It educates the soul,” said Alexandra York, founder of American Renaissance for the Twenty-First Century. It was over two decades ago that York gave a speech announcing her foundation, in which she advocated for including art as the “fourth ‘R.’” The three R’s are what are considered the basic skills to teach in schools: reading, writing, and arithmetic. “I firmly believe any art, especially the art of dance, is to teach people about life,” said Yung Yung Tsuai. Tsuai heads the dance department at Fei Tian College at Middletown, New York, which has degree programs in both classical ballet and classical Chinese dance—both incredibly comprehensive dance systems with strict foundations of technique. The rituals of a dancer provide perhaps one half of this character education, Tsuai explained. The training is precise and detail oriented, teaching students to observe, to pick up on different viewpoints, and to mind everything down to the details. Dance is also collaborative, teaching teamwork and communication—both verbal and nonverbal—wherein dancers not only help each other out, but learn to break through difficulty together, she said. Classes start with a bow, and end the same way, showing respect to the art form, their peers, and their teachers. Tsuai stressed the importance of fostering a culture of respect, where her teachers lead by example, because art may be craft and discipline, but it is also about the inner world. From the moment the dancer gets up in the morning and gets ready, they are aware of this. The other half comes from creating—the actual making of art. Art is about creating, Tsuai added, whether you’re painting an image or bringing a story to life through dance. You have to be keenly conscious of your inner world, which in turn instills a sense of personal responsibility and, ideally, the wish to bring good into the world. This character development isn’t limited to the full-time artist. Colleen Stewart began her career as a music teacher to primary grade students. She loved teaching in the classroom and the idea of developing young musicians. She eventually left the position to become a principal, then a school administrator, then the founder of two Success Academy schools, and then a district administrator. The curriculum is fairly standard—general music education classes teach aural understanding skills, singing, melody, rhythm, harmony, and so on. The goal is not to develop musicians, but well-rounded humans. 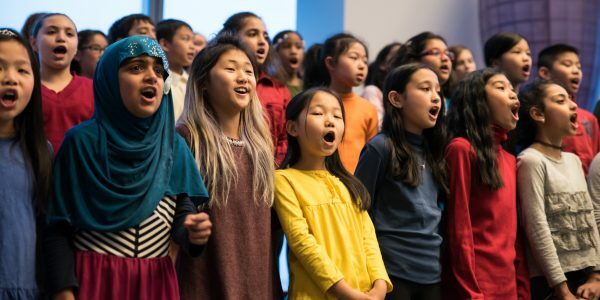 Through music, the students learn what it means to try really hard, how to overcome frustration, how to work in a team, and how to problem solve, among many other things. They develop critical thinking skills, learn to listen carefully, and become capable of explaining what they think and feel in relation to the music. ETM is one of those organizations that grew out of a need to fill a longstanding gap. Its founders saw a poorly performing school turn around completely after implementing a music program, and thought perhaps this could be a solution to improve schools more widely. 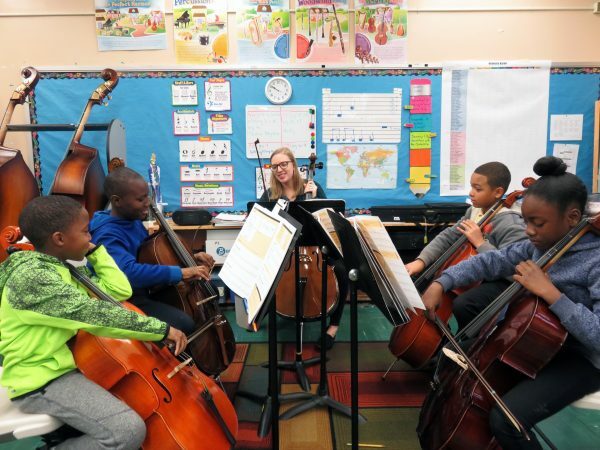 Since 1991, ETM has grown from serving one to 65 schools, providing music education to nearly 34,000 students—schools have seen that it truly does work. It largely serves public schools, but the list includes parochial schools as well. There are other organizations like ETM; during my time as a music reporter, I seldom came across a musician who wasn’t involved in an educational program in some way, and more than happy to advocate for it. Everyone has a handful of stories about students who started enjoying school because of music; students who rediscovered their love for learning; students from difficult homes who, through working out a difficult passage on the instrument, learned to harness their emotions; students who developed self-confidence due to learning a skill, and so on. The arts, in a way, epitomize self-actualization. “Each lifetime, in its own way, has a ‘theme,’ an ever-unfolding personal destiny, scripted by the individual. Every good work of art is just the same,” according to York. The artist first has a vision, which they then render into reality. We are the same. And because every craft is rooted in discipline, these grand visions are tempered, York says, by “purpose, structure, observation, selectivity of essentials, and judgment of execution” into intelligible form. In creating our own lives, we can learn from the arts. And we can teach our children these arts so that they have in their hands the skills of discipline needed to enact their vision. Catherine Yang is an arts and culture reporter for The Epoch Times. More and more, schools are turning to creeds, rules, and promises to fill the void left when organized religion was removed from the classroom. There is no more powerful or lasting way to teach a moral lesson than through a story that exemplifies that lesson, either positively or negatively. At first glance, imagination might seem to have nothing to do with morals. The consequences of not respecting young people enough to tell them honestly about deficiencies in their work are serious. Our schools and colleges, with few exceptions, do less to form character and educate in the virtues than to inoculate the young against their cultural heritage.